Greenpeace delivered a petition for Coca Cola to clean up their act and take responsibility for the plastic pollution they create. 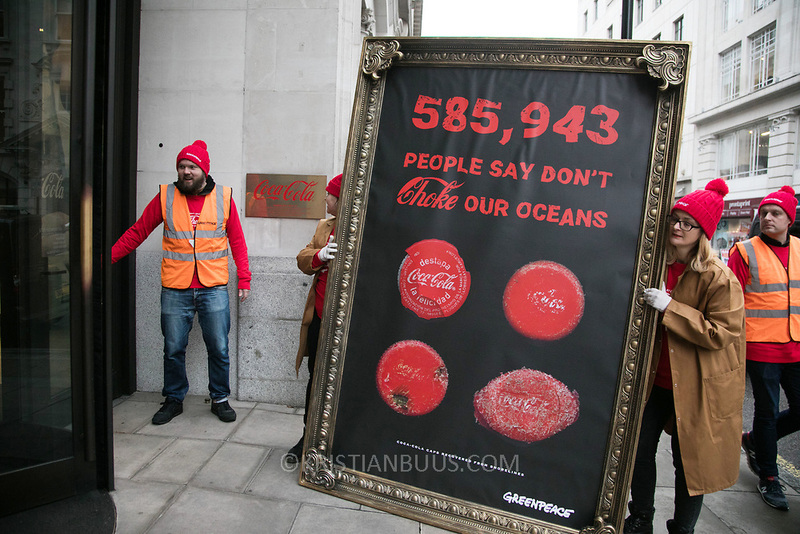 585,943 people have signed the petition and Greenpeace delivered it to Coca Cola in a giant picture frame. Coca Cola is respinsibel for tons of plastic pollution and the sea are chocking on plastic.